ON DOING ENOUGH FOR OTHER ANIMALS. Billed as the first all vegan fashion label to present at New York Fashion Week, Vaute Couture held a solo show on Wednesday. 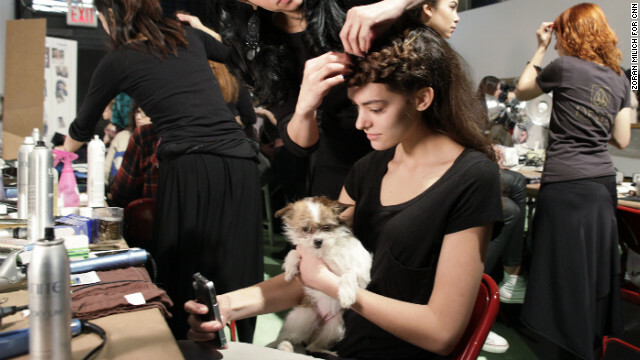 Models took to the risers holding rescue dogs available for adoption. The clothing company debuted its first ready-to-wear line in Wednesday’s show. Beyond faux fur and leather, Vaute Couture uses organic, recycled and high-tech fabrics. Surrounded by models, designer Leanne Mai-ly Hilgart directs her first Fashion Week show. She started Vaute Couture in 2008 and has earned a global following. Dogs featured in Wednesday’s show wore knit bows or organic coats. 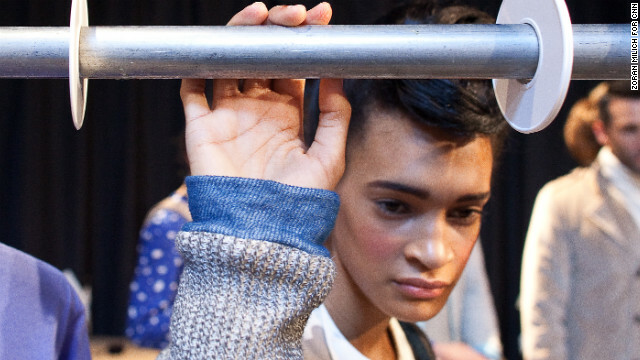 Animal-free hair and makeup products were used on the models backstage. A photo booth at the event included handmade signs reflecting the company’s vegan values. 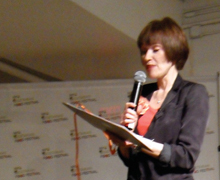 If attendees had questions about the use of animals in fashion, experts were available on site. (CNN) — For Leanne Mai-ly Hilgart, being vegan isn’t only about what she eats and chooses to wear each day. Avoiding meat and dairy in her diet and animal-derived products in her closet is just part of the equation for the 30-year-old designer, businesswoman and animal lover. As founder of fashion label Vaute Couture, her dedication to creating animal-free coats, sweaters and other cold-weather gear has earned her a global cult following among animal rights activists and eco-conscious fashionistas. Her activism began when she was 10 years old with an elementary school social studies project in suburban Chicago on factory farming and the fur industry. She became vegan at 17 and continued her activism in high school with a campaign for alternatives to animal dissection in science class that, with the help of national group Animalearn, eventually became Illinois law. This week, she took her philosophy to New York Fashion Week, where she debuted her first ready-to-wear line in a solo show Wednesday, less than five years since starting Vaute Couture in 2008. Stella McCartney, Charlotte Ronson and other big-name designers have created fur-free collections in previous seasons. But Vaute Couture is the first independent fashion house to show during New York Fashion Week with animal- and cruelty-free built into its brand DNA, from its ultrasuede elbow patches to Thinsulate-lined winter jackets. The line’s aesthetic goes beyond faux fur and leather, using organic, recycled and high-tech fabrics in an effort to redefine traditional outerwear staples. Before a packed showroom in New York’s Chelsea gallery district, models, accessorized with rescue dogs available for adoption, showed off Vaute’s line of coats, dresses and pants of waxed canvas, velvet and moleskin (a heavy-napped cotton twill fabric, despite its name), among other materials. Even the shoes, by Love is Mighty and Brave GentleMan, were vegan. Though Vaute’s line comes at a time when consumers seem more willing than ever to pay a premium for products from companies or businesses whose values align with theirs, industry insiders say the company is swimming against the tide in a season expected to bring new twists on leather and fur. Don’t miss out on the conversation we’re having at CNN Living. 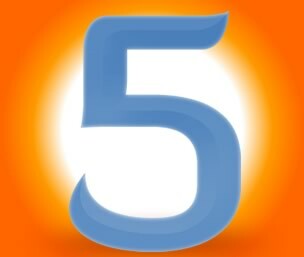 “Like” us on Facebook and have your say! Get the latest stories and tell us what’s influencing your life. But Hilgart, an activist at heart, is undaunted. She believes that there are people like her who care about where their clothes come from and how they’re made. It’s Vaute’s role to make those options more accessible, she said. 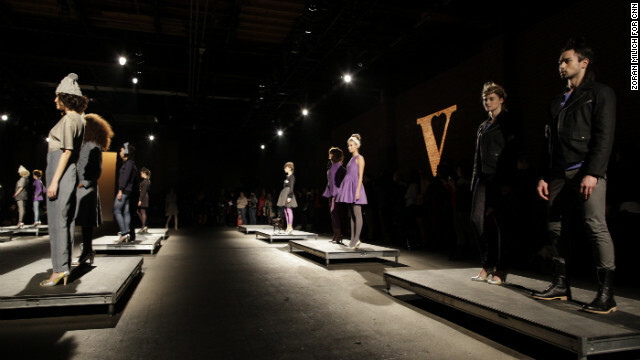 Vaute’s values infused all aspects of the show, from the animal-free makeup and hair products used on the models to the vegan petit fours and cheesecakes inscribed with a V from Vegan Treats bakery of Bethlehem, Pennsylvania. Leashed rescue dogs were led around the audience by volunteers from the Humane Society of New York and Badass Brooklyn Animal Rescue. The list of sponsors included some of the biggest names in animal rights activism: the Humane Society of the United States, People for the Ethical Treatment of Animals, Farm Sanctuary and Physicians Committee for Responsible Medicine. By sponsoring fashion events and designers like Hilgart, these groups get a chance to share their mission with buyers, fashion editors and industry insiders, key influencers of consumer trends. “It’s a great audience for us to get our message in front of,” said Michelle McDonald, outreach manager of the Humane Society’s fur-free campaign, which sponsored Jay McCarroll’s runway show in 2006 and Charlotte Ronson in 2008. The Humane Society tracks progress through a growing list of designers and companies that have adopted fur-free policies. But Hilgart has taken the commitment to “cruelty-free” fashion a step further with Vaute, McDonald said. The genesis of the company came from Hilgart’s own desire for a stylish winter coat that wasn’t “accidentally vegan” because it used substitutes for wool, fur or leather to drive down costs. She was a DePaul MBA candidate on break working as a Ford fashion model in Hong Kong when she decided that entrepreneurship was the best way for her to make a difference. “I realized that if I could create a business where the process in itself was actually creating positive change, that would be my activism,” she said in a phone interview last week from a noisy New York coffee shop in between final preparations for her show. Whether consumers are ready to give up fur, leather and wool is another story, even if it’s in favor of equally stylish and warm alternatives. Hilgart knows there is a market for animal-free fashion among people like her, vegan or not, who take conscious consumerism to an active level. Many of those people attended Wednesday’s show and were thrilled by what they saw, regarding the Sailor Moon-inspired collection as a validation of their beliefs. “Compared to even just a couple of years ago, there are now so many cruelty-free alternatives to products that we used to think required the bloodshed of animals — everything from shoes to cosmetics to luxury fabrics,” Jasmin Singer, executive director of Our Hen House, a nonprofit animal advocacy organization in New York, said after the show. People want to do the right thing, she says, citing growing excitement around organic food, fair labor practices, and even faux fur and leather as evidence. But some see the interest in fake animal material in fashion as simply the trickle down effect from more of the real thing appearing on runways. Even if interest in animal-free fashion might be greater than ever, in the same way that more people are willing to go vegan or pay extra for locally made products, trend forecasters say there’s a greater interest in looks incorporating fur and leather, which will be reflected on the runway this season. Part of it is a continuation of the seasonless fashion trend that began showing up unexpectedly in spring and summer collections, said Jaclyn Jones, womenswear editor of style forecaster WGSN. But most of it has to do with the luxurious look of leather and fur, plain and simple, Jones said. Hilgart understands that perspective, which is why it has taken her this long to come up with looks that she hopes will make the fashion world and consumers take notice, she said. Creating garments of high-tech materials to convey the indulgent look of high fashion took months of research, especially for someone with no formal training in fashion, she said. “I knew I had to design something that would be innovational for the entire industry. Not using animal fibers was an opportunity to look past what was just good enough to make something truly superior,” she said. But even attendees of Wednesday’s show who were receptive to the concept acknowledged that it’s an uphill battle to change an industry or consumer behavior. 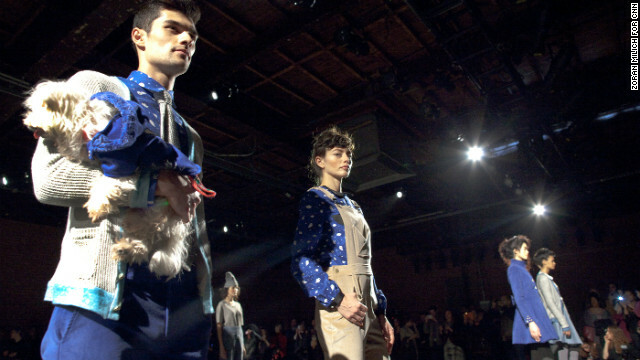 Simply making animal-free clothing available is a big step in the right direction, especially if it’s hip and stylish, said Dakota Kim, a freelance fashion writer who attended the show so she could write about it on her blog, Fashtronaut. “I think that (animal-free clothes) really came to the forefront with Stella McCartney and ever since then it’s been a big deal. It’s more mainstream and the clothes are just so young,” Kim said. CNN’s Sarah LeTrent contributed to this report. Flinders University senior sociology lecturer Dr Nik Taylor said it had been established that the more positive a person’s attitude to animals, the lower their aggression levels, and that the reverse is also true – if you’re cruel to animals, you’re more likely to be violent to humans. “They’re a pretty angry bunch and that anger shows,” she said, adding that one of their “jawdropping” findings was that women in the meatworking industry were even more aggressive than the men. “We’ve got some very, very angry women. Maybe they need to prove themselves by being more macho,” she said. The study included meatworkers and farmers, and they found that while farmers had “utilitarian” attitudes towards animals they were less aggressive than the general community – and meat and dairy farmers had better attitudes towards animals than wheat farmers. The authors used a “propensity for aggression” scale. “This study essentially showed that farmers are a pretty nice lot,” Dr Taylor said. “They take care of their animals, they’re laidback and not at all aggressive. Prof Fitzgerald said it wasn’t the nature of repetitive and dangerous work, but the act of slaughtering an animal that was to blame for the increase in violence. “The unique thing about (abattoirs) is that (workers are) not dealing with inanimate objects, but instead dealing with live animals coming in and then killing them, and processing what’s left of them,” she said. Victoria Moran has been a Main Street Vegan for almost 30 years and is the bestselling author of eleven books, including Creating a Charmed Life (in 30 languages around the world) and the plant-based weight loss classic, The Love-Powered Diet. Her college thesis became Compassion the Ultimate Ethic: An Exploration of Veganism, originally published in 1985 and the first work on vegan philosophy and practice to come from a major publisher. Victoria is also an inspirational speaker and monologist, a corporate spokesperson, certified holistic health counselor (HHC, AADP), and founder of Main Street Vegan Academy, training and certifying vegan lifestyle coaches. What do pigs, the planet, many Hollywood celebrities and your waistline all have in common? 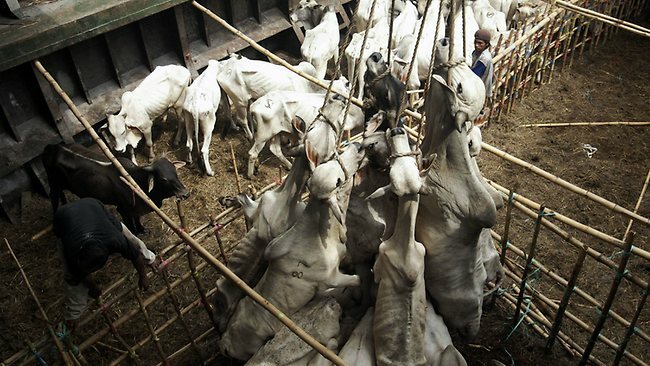 They want you to go vegan – whether right this minute, or at your own pace. 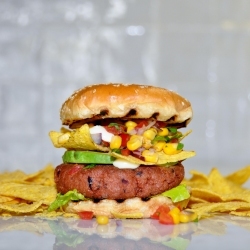 Maybe you’re intrigued about the vegan life but worry that it’s expensive. Or you’ve tried it but gave up because it seemed too hard. Or you just plain worry about seeming like a cow-hugging weirdo (you can, of course, hug cows without being weird). 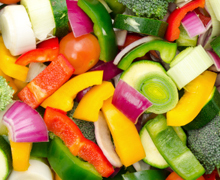 Every new vegan has concerns like these, and we can help you address each one of them. 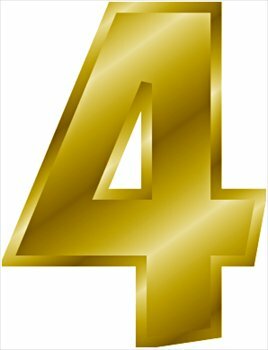 We wrote Main Street Vegan to provide information and support to anyone, anywhere who wants to move veganward. 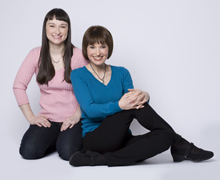 We’re Victoria Moran – an Oprah-featured author of eleven books (accounting for the good fortune of the media mentions, right), a certified holistic health counselor (HHC, AADP), and a vegan of nearly three decades – and daughter Adair Moran, a lifelong vegan who’s grown up to be an actor, playwright, wildlife rehabilitator, and stunt performer (in case you thought vegans were wimpy: Not). Another exciting aspect of Main Street Vegan is the MSV Academy, a training program for Main Street Vegan Lifestyle Coaches — click the Academy tab for more information. And I (Victoria) am a Vegan Lifestyle Coach — if you’d like a little navigating on your vegan voyage, click the Coaching tab. 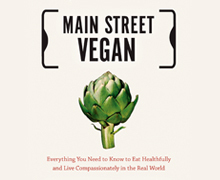 Click here to check out Main Street Vegan in the “Books Ellen Reads” section of the Ellen Degeneres Show site! 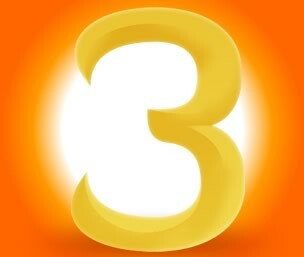 Today’s highly anticipated release of Vegan Is Love: Having Heart and Taking Action (North Atlantic Books) has already created controversy, as parents, nutritionists, and psychologists opine about whether its core message of changing the way we eat and live is appropriate or even healthy for children. From national television to major newspapers and mommy blogs, author-illustrator Ruby Roth is confronting critics who say the book is too disturbing for impressionable children. In Vegan Is Love, Roth teaches a new generation of young readers about choices and the personal agency of people – big and small – in creating a more sustainable, peaceful, and compassionate world. With the same gentle candor of her first book, That’s Why We Don’t Eat Animals (North Atlantic Books, 2009), and kid-friendly illustrations, Vegan Is Love explores complex themes of animal cruelty, big agriculture, world hunger, and environmental degradation. 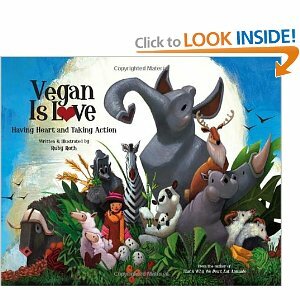 Vegan Is Love is the first complete guide to the vegan philosophy and lifestyle for children. It addresses the daily opportunities children have to protect animals, the environment, and people around the world. From the clothes we wear, to the products we buy, to the food we eat and the entertainment we choose, Roth shows young readers the far-reaching ethical and environmental rewards of vegan choices. It includes a back-of-the-book list of actions and resources to empower kids to be the change they wish to see in the world. Ruby Roth is a Los Angeles-based activist, artist, writer, and former teacher whose children’s books have received international attention for their sensitive yet frank advocacy of a vegan diet and lifestyle. She has degrees in art and American Studies, and for nearly a decade has researched and spoken publicly on animal agriculture, health, nutrition, and the benefits of a vegan diet. Her first book That’s Why We Don’t Eat Animals, published in 2009 by North Atlantic Books, has been praised by celebrities, leading activists and parents, as well as attacked by the likes of agribusiness executives. A children’s book that will be released next week is stirring up controversy among parents. 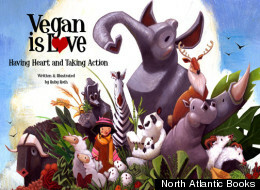 It’s called “Vegan is Love,” and according to the publisher, is a young readers’ introduction “to veganism as a lifestyle of compassion and action.” The details, however, including images of animals behind bars in crowded cages and graphic passages about animal testing are being called unsuitable for children –- the book is intended for kids as young as 6-years-old. 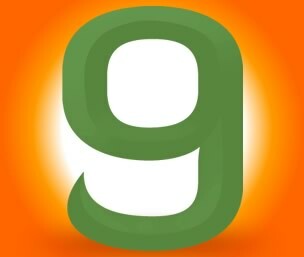 The pro-vegan message of the book isn’t in dispute. While there is debate about whether an animal-product-free diet from birth is appropriate, nutritionists (and activists including Alicia Silverstone) agree that a vegan regimen can be healthy for little kids as long as their meals include enough supplemental nutrients and proteins. That said, the tone and wording in “Vegan Is Love” has experts concerned. The author, Ruby Roth, is raising her 7-year-old stepdaughter, Akira, whose favorite food is kale, to be vegan. Roth told “Today” that it is not her intention to instill fear. “If it’s too scary to talk about, the reality of where those pieces of meat come from, then it’s certainly too scary to eat,” she said. Instead, the book is supposed to encourage “compassion and action,” Roth told ABC. As the citizens of the Netherlands look for meat alternatives, a very different chain of butcher shops is looking to meet that demand.